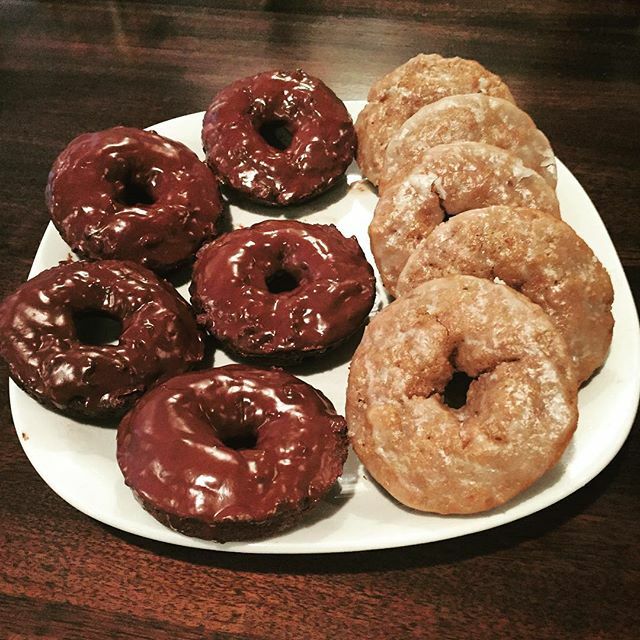 Truly Delicatable Guilt Free Donuts…Recipe by Chocolate Covered Katie. I am a true believer in treating your body well. With that said I absolutely love sweets! I mean if it has chocolate in it, you better believe that I am going to try it. In my attempts to maintain balance between my sweet tooth and healthy lifestyle I often opt for healthy desserts. That is where one of my favorite blogs comes into play Chocolate Covered Katie Blog. She has an amazing blog of all healthy desserts, perfect for the vegan baker! Not only is her blog full with awesome recipes, she recently has come out with a cookbook that I cannot help but rave about. If your interested in trying the delicious donut recipes below, I would definitely recommend checking out the CCK Cookbook. It has over 80 recipes of healthy desserts that are rich in flavor and will have your guests saying, “That dessert was made with WHAT?” ( A common occurance when you tell your friends and family that the delicious pie they just consumed is filled with tofu and unprocessed sugars…)! If you’re still interested read about my experience with her two donut recipes below. As fall is quickly approaching, I thought it was the perfect time to try out these donut recipes. The Chocolate Glazed Doughnuts contain almond milk, coconut oil, apple cider vinegar, vanilla extract, spelt flour, xylitol, stevia extract, cacao powder, baking soda, salt, and melted chocolate chips. The Frosted Lemon Doughnuts had the same ingredients except the apple cider vinegar, cacao powder and melted chocolate chips are exchanged for grated lemon zest, lemon juice and arrowroot. Each recipe makes a 1/2 dozen donuts each. Clearly from the picture, I tried each kind before getting them onto the plate. Both were quite good and definitely tasted like real donuts with a dense cake like texture. The ones on the left are obviously the chocoholic glazed doughnuts; and as a self proclaimed chocoholic I thought I would like these best, but mine came out a bit dry in comparison to the frosted lemon doughnuts. The lemon donughts were out of this world good! They were extremely fresh tasting. Credit is largely due to the lemon zest and lemon juice incorporated in both the donuts and the frosting. If I had to choose just one I would go for the Frosted Lemon Doughnuts again. If anyone has any other good healthy dessert recipes or blogs to follow, please comment below!